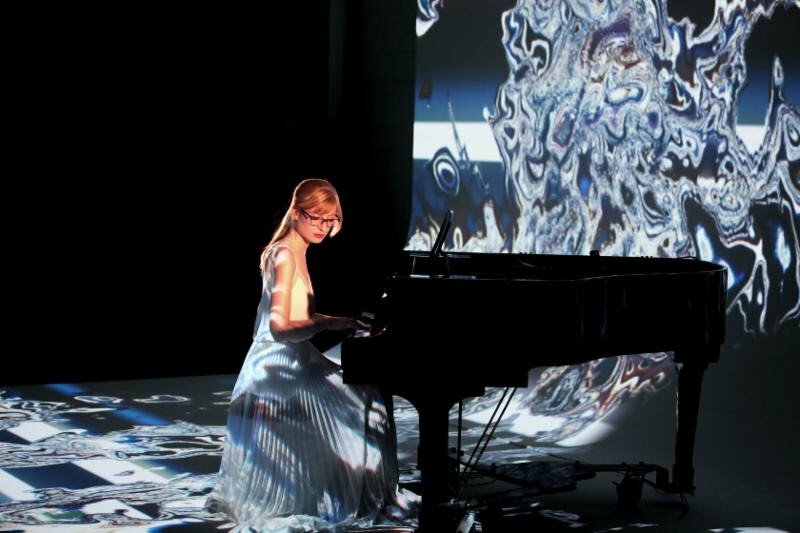 Kelly Moran is a New York-based composer, producer and pianist. One year after Bloodroot (Telegraph Harp), she released a new album in 2018. Ultraviolet is out now via Warp Records. She shared a new live video for the track “Halogen“. The performance, captured in the Brooklyn-based experimental venue Future Space, features stunning projection mapped visuals designed by Gabe Liberti, of the interactive installation studio Dave & Gabe.